Jared Unzipped: The Most Gruesome Nintendo Entertainment System Video Games! The Most Gruesome Nintendo Entertainment System Video Games! Mario, Luigi, Zelda, Kirby, Samus Aran... just a few names that pop up when discussing the original Nintendo Entertainment System. 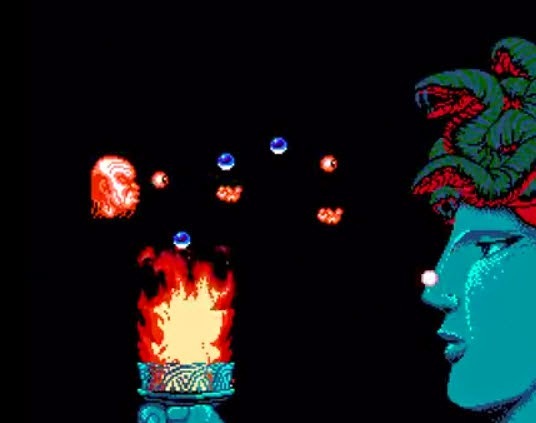 Of the 713 official NES games released in the US and European markets, there are hundreds of quality titles that incite joy, happiness and jubilation... and then there are some that aren't so kid friendly. I present to you some of the gruesomest of all NES games! Ghoul School - Borrowing some of the plot elements from Class of Nuke'Em High, Ghoul School is all about killing your mutated and demonically possessed classmates. You play as Spike O'Hara, a typical loser with a crush on head cheerleader Samantha Pompom. Of course, the demons kidnap Samantha and only you can save here from a hellish nightmare. Battling your way through an endless puzzle of rooms, you've got to find the right weapons to survive the endless hordes of eyeball monsters, gillmen, zombies, ghosts, snot beasts and killer monkeys. This game is all about putting the monster students down... permanently. Friday the 13th - This game comes as no surprise. The object is to prevent Jason Voorhees from killing kids. 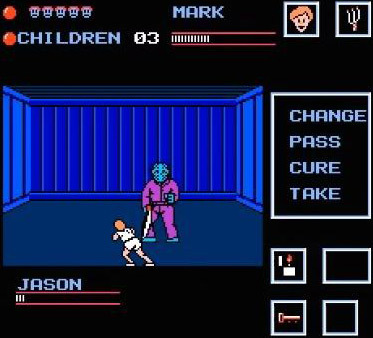 That's right -- an actual NES game where you're trying to stop a child killer. How this ever got published, I've got no clue. The game is notorious for its difficulty, but damn if it isn't fun. More often than not, you're going to die at the hands of Jason -- he's absolutely brutal. For those of you with major gaming skills, you can actually battle the floating decapitated head of Jason's mother for an added bonus. Who knew stopping a child-slaughtering maniac could be so fun?! Monster Party - Ever want to fight the Wolf Man, Frankenstein's Monster, Count Dracula and a plant creature bearing an eerie similarity to Audrey II from Little Shop of Horrors? Then Monster Party is the game for you! You'll battle wave after wave of history's most famous monsters. All the while, the levels are comprised of bleeding skulls, slime pits, dark caverns, haunted Egyptian tombs and more! Another example of the infamous phrase 'Nintendo Hard', Monster Party will definitely satisfy your taste for blood. 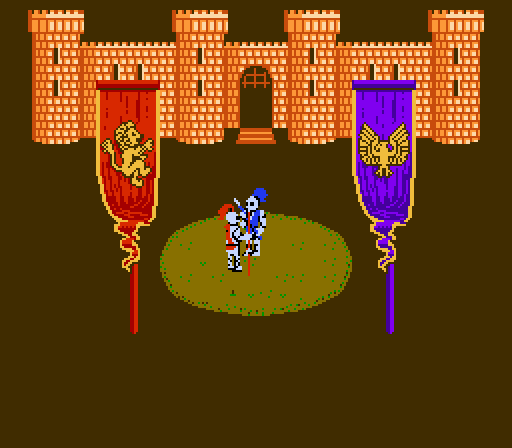 Shadowgate - Die! Die! Die! Die! Die! 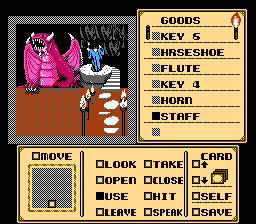 That's all you'll do in Shadowgate, a game filled with a notorious amount of instant deaths and booby traps. 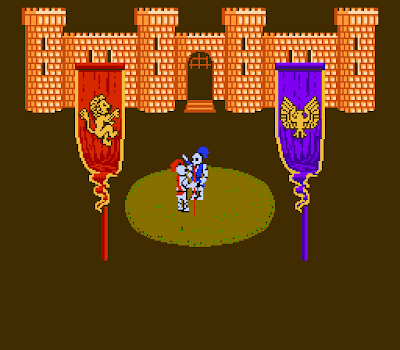 This is a point-and-click adventure game, one of the few examples on the NES. In the game, your goal is to prevent the summoning of Behemoth from the literal depths of Hell. You'll have to solve every last puzzle in a near-endless castle before facing off against the devilish Warlock Lord. Be prepared to die a lot. Practice makes perfect! Zombie Nation - The world has gone to utter crap. America is in ruins. The only force left to save humanity is the floating head of a dead samurai. I kid you not... I can't make this nonsense up. Zombie Nation pits the severed head of Namakubi against the villainous Darc Seed, an alien that has turned most the United States into a land filled with zombies and other monstrous mutants. As Namakubi, you have to blast your way through the undead in four nearly impossible levels of mayhem. Your weapons? Oh... JUST YOUR OWN EYEBALLS AND VOMIT! Battle Chess - You might be scratching your head at my final example, but I assure you -- Battle Chess is all about sadistic murder. Taking the classic game of wits and strategy and flipping it on its head, Battle Chess actually shows you the pieces killing each other. The multitude of murder scenes are outrageous and hilarious. Watch as the Rook completely flattens the Knight or the Bishop as he slices the King into three pieces! This game is all about watching as many player pieces die as possible -- whether you lose the match or not is almost irrelevant. Death has never been so much fun!